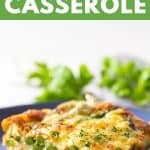 This Keto Breakfast Casserole is super easy to make, takes only 10 minutes to prep and tastes absolutely amazing! Low-carb, high fat, and filled with healthy unprocessed ingredients. Most keto diet breakfast recipes I’ve found out there call for bacon or sausage. Those are the main ingredients for a ton of lunches and dinners, too though. What if you’re not a big fan of eating the same ingredients over and over and over again for breakfast? I feel the biggest struggle when being on a restrictive diet like the Keto Diet is to mix in variety. One falls into a cooking slump and makes the same stuff over and over and over again. 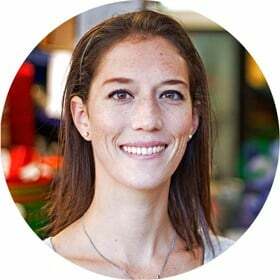 I’ve been on a mission on Green Healthy Cooking to create diverse keto diet recipes. I want to inspire all of you following this diet to explore a larger variety of ingredients. So, as I mentioned above, most Keto Breakfast Casseroles call for bacon or sausage as protein and for cream cheese and cheese as fat. 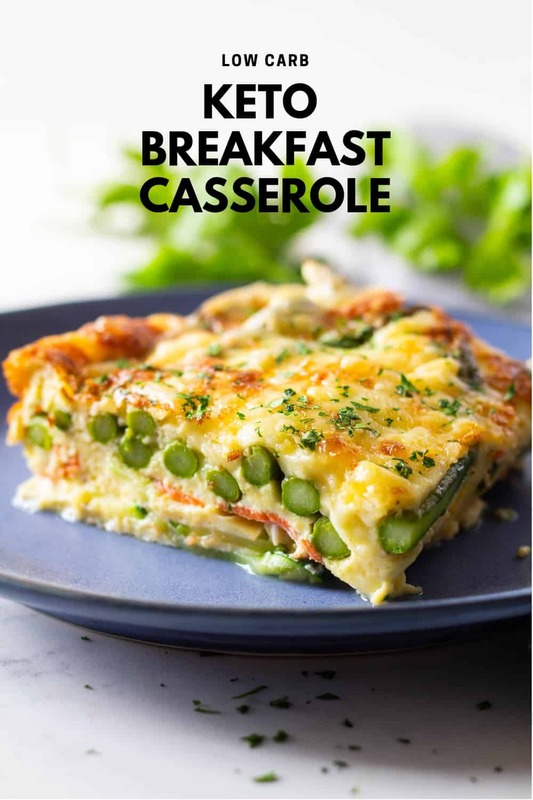 How about you make a fancier but suuuper delicious very different Low-Carb Breakfast Casserole? Add smoked salmon because it not only has a ton of protein but is also the fish with the highest amount of Omega 3 fatty acids. Add eggs for extra protein and add regular whipping cream to up the fat content in your breakfast because cream cheese overpowers every other flavor in my opinion. If you add whipping cream to the equation you can play around with spices and herbs. Make your keto breakfast casserole taste like whatever YOU want. I love it simple and just add sea salt, pepper and a pinch of nutmeg. Amazing low-carb vegetables are zucchini and asparagus but you can easily replace these by many other low-carb vegetables that cook in the oven in less than 20-25 minutes, such as cauliflower or broccoli. 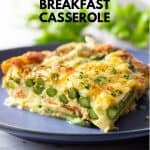 Make a Keto Breakfast Casserole with smoked salmon, eggs and whipping cream as a base and then be creative with your veggies and spices. 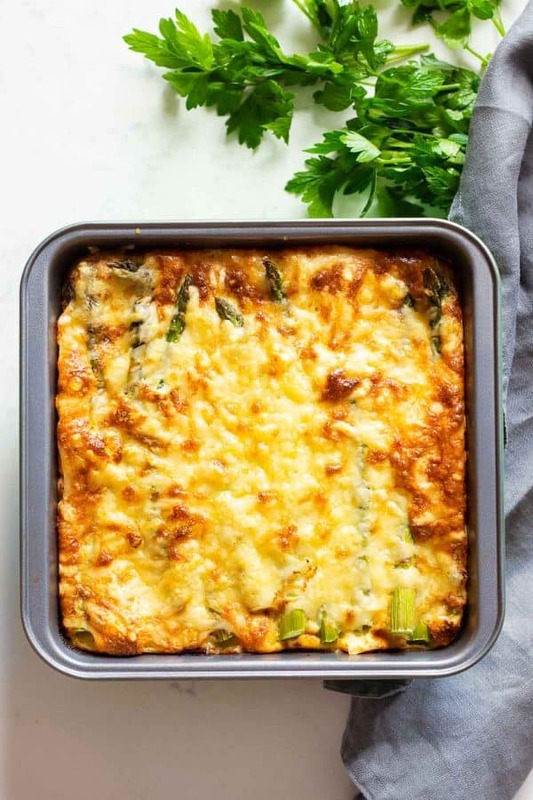 Great low-carb vegetables to add to a low carb breakfast casserole are: zucchini, asparagus, cauliflower, broccoli, spinach, kale, green beans….just to name a few. Spice it up with either simply salt and pepper or make it more flavorful with cajun seasoning for example. Cover it all with your favorite melty cheese and off it goes into the oven until the eggs set and the cheese melted. Use a mandoline to cut thin slices of zucchini or use a knife to cut thin rounds and lay out at the bottom of an oven proof casserole or baking dish. Top with smoked salmon and asparagus. Crack 6 eggs into a bowl, add cream and spices and whisk until very well combined. Pour eggs into oven-proof dish, top with grated cheese and bake for 20-25 minutes or until eggs are all set. Sprinkle with chopped fresh parsly and serve.